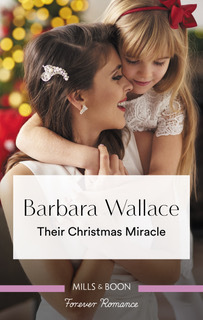 Today we have a smooch from Their Christmas Miracle by Barbara Wallace. I’m so excited to share with you my latest romance: Their Christmas Miracle. Writing a Christmas romance has become a bit of a tradition for me. This marks the third year in a row I’ve decked the halls for Mills & Boon. THEIR CHRISTMAS MIRACLE was especially fun to write because it’s an amnesia story. Amnesia is one of my favorite romance tropes because it opens the door for a reunion romance. There’s so much you can pack into a missing memory! And believe me, I packed in as much as I could. Lost: One wife and mother. Finding the wife he'd believed lost to him forever in a remote Scottish village seems like a miracle to wealthy CEO Thomas Collier. Rosalind is suffering from amnesia - she can't remember anything from before her accident, including her husband and their daughter! As Christmas draws near, back in their London penthouse, can Thomas help Rosalind regain her past and embrace the loving future they all deserve? “You’re most welcome.” She looked up to find his eyes had grown hooded and dark. Her insides started to pulse. “You know, we are under the mistletoe,” he told her. His lips brushed against hers. The kiss was soft and sweet, full of the kind of promise that made Rosalind’s knees want to buckle. And then it ended, as a public kiss should. Leaving her tingling and wishing they were alone. Because I’m in a Christmasy-mood, I’m giving away a copy of THEIR CHRISTMAS MIRACLE to one lucky Lovecat Visitor. For a chance win, leave a comment below and tell me if you’ve been naughty or nice! By the way – if you’re not in a Christmas mood, you can always check out my limited edition Bachelorette anthology featuring Ali, Ivan and Danny on the cover! Come back next Sunday, when the winner of today's giveaway will be announced! I hope when you read it, that you like the ending Lyn! Thanks for letting me visit. Thanks Helen! It's nice to see you here. Who doesn't love a Christmas story? How lovely! That is indeed a miracle. Both. When I'm good, I'm bad. When I'm bad, I'm good. LOL. BTW, loved the Smooch. Felt like I was getting the loose hug instead. Yum! Laney! Good to see your name. Glad you liked the smooch. Hi Barbara. Very nice this extract. The book seems really interesting. Good luck . Beautiful cover. I try to always be nice, even if sometimes it is difficult. So lovely to see you here, Barb, with that delightful smooch. I love a Christmas story! 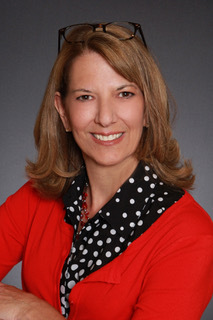 Welcome to the LoveCats, Barbara and congratulations on the Christmas release. I love a festive season book! And I enjoy amnesia stories too (my current release is one). I've tried very hard to be nice this year but I'll see what Santa thinks.